These offers are free with the purchase of the Bianchi Spillo Rubino (2016) Bicycle. Ease of control and use ensures that this bicycle can be ridden by people from all age groups and sizes. Entry level gear system that restricts the speed of the bicycle. The Bianchi Spillo Rubino (2016) is a Hybrid Bicycle, which comes with a 700C Spillio, Rigid Alloy Frame. The Spillo Rubino (2016) comes with Shimano Tourney TX51 Front Derailleur and a Shimano Tourney RD-TX55, 7-Speed Rear Derailleur. Shimano Tourney ST- EF-51 shifters control the drivetrain. 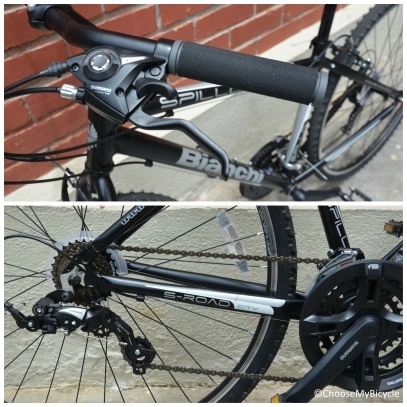 This Hybrid from Bianchi comes with Alloy V-Brakes and these are connected to Shimano ST- EF51 Brake Levers. 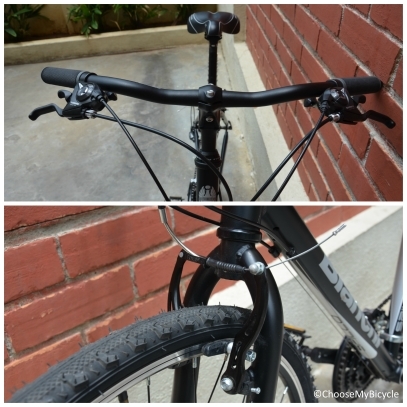 The Bianchi Spillo Rubino comes with a threaded Rigid Alloy Fork. The Wheel size of this cycle is 26". The tires on the Bianchi Spillo Rubino are DSI 700 x 35C tires, and these are fitted on to 700C Alloy, Double Wall, 32-Hole Rims. The Price of the Bianchi Spillo Rubino (2016) is Rs.27250. 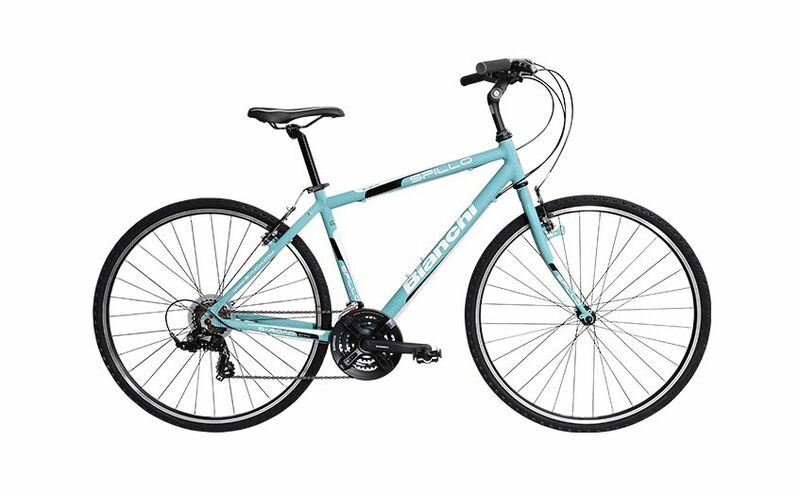 The Bianchi Spillo Rubino 2016 is purpose built to be a true blue city cruiser. It is a unisex hybrid that is ideal for city commuting and shirt rides to the outer limits of your town. It is extremely comfortable and easy to ride and handle, making it a good option for beginners or senior riders. The market has a slew of hybrid and city terrain bicycles that claim to be unisex and purpose built for city commuting. With the Bianchi Spillo Rubino (2016), you can be guaranteed that it stays true to i's philosophy of being a classic designed, unisex city commuter that stands out for being one of the most comfortable and easy to control bicycles in the market. 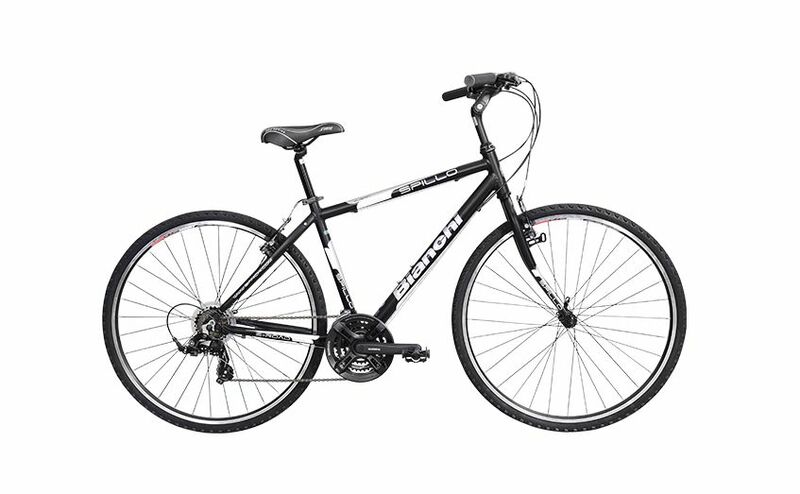 Priced at Rs.27,250, it is well within the affordable price range for cyclists looking for a hybrid city cruiser from a legacy brand such as Bianchi. 2. In what condition will I get the Bianchi Spillo Rubino (2016)? 6. How will I know if Bianchi Spillo Rubino (2016) will fit me without riding it? 7. How long will it take for me to receive the Bianchi Spillo Rubino (2016)?